My mother was born and raised in Texas, so Juneteenth was a big deal in our household. 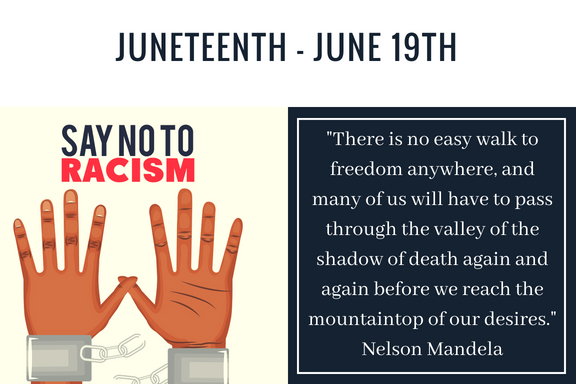 I was taught that Juneteenth represented an important acknowledgment of the role that Blacks paid in building our great nation. Pause for a moment and acknowledge that African-Americans are an INTEGRAL part of the success of America. Indeed, without the continued growth and positive development, America will never become all that she can be. As we shudder at the gross calamity playing out with immigrant families, never forget that all people of color are under siege in this country. As an American Citizen, I implore you all to keep working for justice in this land of the free and home of the brave. 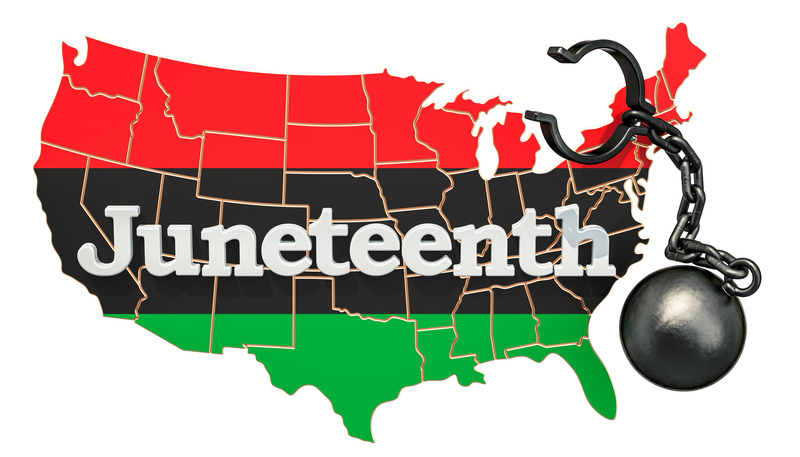 Learn more about Juneteenth from Dr. Henry Louis Gates in What is Juneteenth? Never forget the horror of slavery and the triumph of spirit that endures within African-Americans still!